Thanks for joining me. Today I’m talking with InsideSales’ Chief Marketing Officer Mick Hollison. Mick previously served as the Director of Sales at IBM, the Director of Enterprise Marketing at Microsoft and the VP of Marketing at Citrx—now worth over $2.6 billion. Today he uses his knowledge in sales to dominate the inside sales market. Mick shares tons of insights including how InsideSales really closes leads and position themselves at events for maximum sales conversions. InsideSales offers a robust cloud-based acceleration software to small businesses and enterprise companies alike. As an SaaS, it offers software and tools to address four key components. That includes communications, game-ification technologies to help motivate sales team, a predictive analytics engine to help prioritize which leads to call and when, and visualization capabilities to see what’s happening. InsideSales is named for the business technique of the same name and is really about professional sales done remotely. It’s not B to C or telemarketers calling you up all hours of the day and night, but instead centers on professional B to B selling that’s done somewhere else than face to face. Mick points out this podcast could be a form of inside sales, and sales aren’t always about being thrown into a pit. When you use InsideSales and click on the dial inside the app, it places a call to their telephony cloud and sends a call back to that person. In the case of their client Double Dutch, they issue everyone Samsung Galaxy S4s as their sole telephone infrastructure to reduce costs. This can help justify and offset the costs when you’re not spending on traditional IT telephone infrastructure. And it’s surprisingly affordable. A small company could start using InsideSales software for roughly $100 per user. InsideSales uses the inside sales technique with precision. They have a number of customers they’ve closed for seven figures without ever having to have a face to face interaction with the customer. Mick points to Google’s coinage of zero moment of truth, or ZMOT, that shed light on how educated customers were becoming before ever saw your product or conversed with a sales person. Mick likens the concept to researching a car and then showing up at the dealership to make the purchase. But how do InsideSales’ clients do using their software? Mick shares that a large payroll enterprise company who uses their services experienced 30% top line revenue growth within 90 days. Meanwhile, Double Dutch saw a 300% revenue growth over 18 months using the service in combination with other techniques. Mick has an affinity for events and tradeshows and got his feet wet running Microsoft’s CEO and CSO summits. InsideSales taps trade shows and events to drum up leads and plans to be out in full force at Dreamforce this year. You can also expect to see InsideSales’ videos in San Francisco taxi cabs and on flights. Mick says that their only purpose in doing an event is to generate demand and leads. Sure, presence and awareness are great, but at the end of the day if they’re not delivering leads back to our sales teams, than they’re not getting their job done. Mick dismisses marketers who stand around their event booths like wallflowers. He likens the passive to attending a prom instead of being highly engaged to drive people in. InsideSales’ big focus is the immediacy of responding to leads. Mick points to research showing that if you don’t respond to a web lead within the first five minutes, your chances of ever contacting that lead plummets. And if you do respond within five minutes? You can expect to see about a 400% increase in lead response. InsideSales captures leads at events immediately either electronically or takes an iPhone picture of the business card. That image goes back to their headquarters where it goes into their business development cube. Potential customers are usually blow people away by calling a lead back the same day they visited our booth, before they make it back to the office, before they go anywhere else, while we’re still top of mind. InsideSales functions like a tech startup with rapid growth. Since Mick started less than a year and a half ago, they’ve added 300 employees for a fun environment of organized chaos. They’re currently working on their fourth straight year of 100% off-line revenue growth or greater, and currently work with close to 2,000 companies. InsideSales has also rapidly grown. When Mick started, the company was at 162 employees and now it’s at over 450 people with a goal for 700 by the end of 2014. What sets Mick apart from many CMOs is his experience in a sales role. He credits his youth with learning and working on systems engineering work, and recommends tapping into different departments to learn their functions and absorb it. Sooner or later you’ll be in consideration for something when a new opening comes around. He encourages anyone who’s young and unattached to take positions, even if you have to move, and stay as open as possible to what’s next. “Blink: The Power of Thinking Without Thinking” – Bestselling author Malcolm Gladwell of “The Tipping Point” looks a how we understand the world and our instantaneous choices. The book explores how our brains really work in the office, classroom and classroom and what makes a great decision maker. “My American Journey” – Former Secretary of State Colin Powell was born in Harlem to immigrant Jamaican parents. In “My American Journey”, he writes about joining the Army and rising to the ranks of Four Star General and the White House. Eric: Hi everyone. Welcome to this week’s edition of Growth Everywhere where we interview entrepreneurs and bring you business and personal growth tips. Today we have Mick Hollison who is the Chief Marketing Officer at InsideSales, which helps you make more money, and I’m going to let Mick explain exactly what they do in a second. 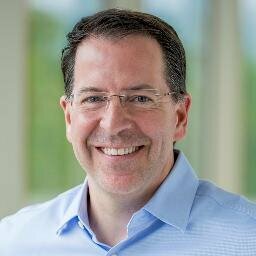 Besides being the CMO at Inside Sales, Mick was also the director of sales at IBM, VP of marketing at Citrix, which is worth over 2.6 billion, also director of Enterprise Marketing at Microsoft. Mick, how are you going today? Mick: I’m doing great Eric. How are you? Eric: Doing great. Thanks for being on the show. Why don’t we start off with your background first? There’s a lot of experience here. We’d love to hear about it. Mick: Great. Sure. Yeah, the very, very background to say the least. Spent the better part of 13 years with a combination of Lotus and IBM and so, got to go on a very fun ride there, then moved west out to Seattle and was the director of Enterprise Marketing at Microsoft where I got to run some very fun events; the Microsoft CEO’s summit and CSO summits, so some great events there, and then went on to lead product management product, marketing teams at Citrix and ultimately was the acting CMO there before taking on the InsideSales role as CMO. It’s been a fun journey thus far. Eric: Alright. Great. Why don’t you talk a little about InsideSales? What are you guys doing exactly? Mick: Great. InsideSales makes, as you broadly put it, sells acceleration software. We’re a Cloud based, SASS based, business to business software provider, and we really make tools and software that fits into four unique categories. The first one is communications; we enable you to communicate rapidly and effectively with your customers whether that’s by telephony or email, or text messages, whatever communications mechanism may work best. We also offer game-ification technologies and employee motivation technologies for motivating your sales teams, and in addition to that we offer, kind of as the underpinning to all of them, a very robust predictive analytics engine that helps you to sort and prioritize: which leads to call, when, at what time, and so forth. Last, but certainly not least is the set of visualization capabilities that allow you to see what’s happening in real time in your sales process. Eric: Got it. Okay. With things like this I always think it’s always good to talk about specific numbers or case studies or anything like that. Do you have any numbers you can share off the top of your head? Mick: Yeah sure. Absolutely. A lot of our advertising speaks to this. One of our larger enterprise companies that utilize our software, a large payroll plasticine firm in the northeast, experienced about 30% top line revenue growth out of their inside sales team in the first 90 days have been from maturation. More recently you and I had an opportunity to meet at the Growth Beat Conference, the Venture Beat Conference in San Francisco, and Russ Hearl, a gentleman that runs client team there at Double Dutch spoke about their 300% revenue growth over 18 months. While not all of that could be attributed to InsideSales, obviously it says a lot about Russ and his products as well. A big portion of it he definitely credits to implementing InsideSales tools. Eric: Got it. Okay. Can you define what InsideSales, what that term actually means? Mick: Yeah. It’s a great question actually. For us it’s a real simple term, its professional sales done remotely. It’s not B to C, it’s not tele-marketers calling you during dinner at 6 or 7:00 at night. It’s very much professional B to B selling, but it’s done from a location other than face to face. One could say I’m doing a little bit of it right now as a matter of fact. Any form of selling that takes place virtually would really qualify as what we call inside sales. But it doesn’t have to be conducted in a large sales pit kind of a thing that you might have been in. Eric: All right. I think the InsideSales, we’ll call it a movement, is really interesting. I think for people in the audience that want to learn more about InsideSales; InsideSales has a YouTube channel that has a lot of really helpful webinars that explain different processes, such as how to build a sales team, even how to set up inside sales, and things like that. Definitely check that out. In terms of number of customers you guys have, because I know you guys have been growing very rapidly, can you talk about the number of customers and ball park numbers for revenues? Mick: Yeah sure. I’ll give you a rough sense anyway. We just recently took a fairly large Series C round, around $100 million Series C round and that was obviously to invest in the future of the company. The company was founded all the way back in ’04. It was bootstrapped all the way through 2012. Back in 2012 we took a small Series A and then in early 2013 took a $35 million Series B, led by a combination of U.S. venture partners and Hummer Windblad. This most recent $100 million round was led by Polaris Ventures as well as Kleiner Perkins, a couple of big names in venture. A lot of what they saw in the company was massive growth. We’re working on our fourth straight year of 100% off-line revenue growth or greater. When I joined the company about 162 employees. We’re now at 450 plus and hope to be close to 700 by the end of this year. In terms of customers we now have approaching 2000 total companies that are utilizing our software at this point in time. We don’t disclose revenues publicly, but you can probably back into a little bit of the math if you read the history on us to figure it out. Very, very successful, still relatively early stage company based out of, what we like to refer to as, Silk and Sloach [Silicon Valley], Utah. Eric: Alright. Fair answer on the revenue. Cool. This 100% year over year growth, what percent of that, and I’m asking this question because a lot of the audience, typically marketers, so, what percent of that is attributed to Inside Sales and what percent is attributed more to marketing? Mick: Yeah. It’s a great question because it depends on what organization that you look to because in many organizations the lead qualification business development or sales development reps actually report into the marketing organization. In some they report to the sales organizations. According to serious decisions, about 60% of the time the Lead Qual folks report into marketing and the other 40% of the time they report into sales. All of that said, obviously the closer’s side of things is on sales and one of the big belief systems we have in the company is; specializing your reps; and it’s really, really important, we think, to distinguish between those that are qualifying your leads and those that are going to try to close on those leads. Eric: Got it. You know, that brings up another interesting question. For you guys, and this is not a one size fit all, but I think it’s helpful to ask this question. How long does it take you guys to onboard a new sales development representative which just focuses on qualifying, or prospecting? Mick: Terrific question. We have a pretty rich ramp for our reps as you can imagine with the kind of growth numbers and employees that I talked to you about earlier. We’re constantly in a state of hiring especially for these sale development reps. We found, depending on what marketing sector they’re responsible for, it can be as short as 60-90 days as we look out into mid-market and enterprise type of reps. We tend to look at 120 or longer, so our enterprise reps typically, it’s a six month kind of a ramp period. But for those small business reps doing qualification of more transactional type of potential buyers it tends to be in the 60-90 day range. Eric: Sixty-ninety days. Got it. Okay. Cool. What’s one unique thing you guys are doing today to acquire new customers? Mick: Yeah. I think we’re doing a lot of unique things actually. We are very, very big believers in events and also in the immediacy of responding to leads. We will be out in big time force, at Dreamforce this year. Mick: Yeah. You’ll definitely see us there in spades. You’ll have a hard time not seeing us in fact. Pretty much any U.S. domestic carrier will be showing a video from us, typically right after the safety videos and then you’ll land in San Francisco airport and we’re going to have a lot of things to say there, a bunch of taxi cabs picking you up in San Francisco, and ultimately boots and boat-hauls at Muscone. We’re a big trade show and event people, we’re a very aggressive sales culture ourselves and so we tend to get outside results out of those types of events compared to a lot of our contemporaries. That’s one big thing that you’ll see us continue to step up our involvement in. In addition to that, on just a sort of day to day marketing and trying to put people into the funnel in the first place, we’re real big believers in the immediacy of responding to web leads. We’ve done a lot of research, some of which you may have found out there on the web by no, Eric, that shows if you don’t respond to a web lead within the first five minutes, your chances of ever contacting that lead go down precipitously. It’s about a 400% increase, actually, if you do it the first five minutes. Mick: After that it really just falls off of the cliff. We’ve designed systems that allow us to respond to any kind of lead that comes in very, very quickly and then persistently over time as well. Eric: Got it. So, let’s say I’m a smaller technology startup, we probably have a seed round approaching a series A, ten employees or so, probably can’t afford a lot of crazy sales software. The question is, how much does InsideSales typically run, because you could have a SalesForce too, right? Mick: Yeah. Yeah. It does work ideally with SalesForce. We do have our basic lead management platform that would allow a small business to get up and running with or without sales force, but we certainly recommend that people leverage a full CRM like SalesForce. That said, our own software runs a little over $100 a month per user. Really when you factor in the difference that that makes in both call volumes and the efficacy of those calls, in other words, contact rates for people that you’re able to reach to, it’s a no brainer ROI that you can turn out very quickly so that the customer, as I cited earlier; Double Dutch, is a little bigger than you talk about, but they only have about 35 reps at this point in time, but they’ve set them all up with no telephony spend, meaning no telephony infrastructure. The way our system works, it actually places a call to our telephony cloud when you click on dial inside the app, and then it sends a call back to that person. They sort of solve for some of their call questions by just issuing everyone Samsung Galaxy S4s. That’s the only telephony infrastructure they have running for their sales people, is mobile phones. Mick: They justified some of the cost, some of the expense they would have to make in our software by decreasing spend on traditional IT telephony infrastructure. Mick: Interesting for small companies. Eric: I love it. That solves everything right there. I mean, so, $100 per user a month, but there’s always some kind of set up involved. What do I need to pay all in if I have three reps? Mick: Yeah. We tend to offer the basic implementation services as a part of that package so it may not—there’s a sort of a first time set up fee, it may knock that up a little bit, but it really is a onetime fee. We typically set those companies up within one day and often it can be done via GoToMeeting or Skype, or something like this, as opposed to having to send somebody on site. In the Double Dutch example I just talk about the sales manager himself did the full setup himself, no IT weenies required. Eric: Alright. No weenies. That’s good. Let’s backtrack a little bit. You talked about running conferences for Microsoft and you talk about how you guys run conferences or do a lot of events right now. Can you walk me through the process for you in terms of setting up a conference, and all the nitty-gritty that goes into it? Mick: Sure. Sure. Yeah. We’re very driven by business results so our only purpose in doing an event is to generate demand and leads. It’s wonderful to have a presence, and awareness, and all of those sort of softer marketing terms, but at the end of the day if we’re not delivering leads back to our sales teams than we’re not getting our jobs done. Everything we do is in service to that and goal and we tend to set very specific goals in advance for any event. Not only on total lead volume, but then on what percentage of those are quality leads. In other words they go through the sales qualification process. Mick: —at a prom. We require that our rep be very engaged and engaging to try to drive people in. And then the last tip that I give to anybody setting up, especially for trade show style events is that same immediacy I talked about on the web, we apply that to events. We actually capture those leads real time. If we don’t capture them electronically we take an iPhone picture of the business card. It goes back to headquarters where it goes into our business development cube and we often blow people away by calling a lead back the same day they visited our booth, before they make it back to the office, before they go anywhere else, while we’re still top of mind. Immediacy and reaching out to your contacts is just as important at an event as it is off the web. But most people don’t perform quite that highly as it relates to their management of events. Eric: Yup. And just to let the audience know, so you guys can get a picture, I was at Growth Feed and I saw Inside Sales, the booth, and it’s exactly like you said, right? There’s the more aggressive stance. There’s these guys wearing suits, they look sharper than the other people from the other booths and it just stands out. I talked to two reps actually and they reached out to me immediately. It’s a pretty good experience and you can tell that these guys are serious. I think when it comes to attending events everyone can take a page from what you guys are doing. We talked a little bit about attending events, having these booths. What about you throwing these big conferences and things like that. How do you go about—I guess that’s a loaded question, I mean, how do you get the right people, first? Mick: Yeah. It’s a great question. We just did our first big customer conference. We did an event we call I.S. Accelerate at a beautiful resort called the Montage in Deer Valley, just outside of Park City, Utah. Number one-we had a little bit of a benefit. It’s a spectacular five star kind of a property and I will throw out props to my CEO for being kind enough to shell out the dollars necessary to attract people with a great venue like that. That’s certainly a factor, but it’s not the only one. The biggest thing is reaching out early and gaining commitment from both customers and prospects to come on board. We took the same kind of approach that we do for anything else. For our customers, we try to be very generous with them and make it as affordable as possible for them to come out to be at the event. In the end it proved very successful for us. Eric: Got it. Okay. Do you have any resources that you looked at that you can share with the audience where they can actually learn how to throw these events? Mick: Yeah, we do actually have a few documents and items that we’ve created out there. We definitely have some killer trade show tips in particular. I can take very little credit for most of these. Our founder and president is a gentleman by the name of Kenny Krogue and he’s really written the definitive playbook on event and trade shows tactics. As a follow-up to this Eric, I’ll be sure to get you the proper web links that you can get back out to your audience online. Eric: Sounds good. That would be super helpful. Great. Let’s dive back into the sales world right now. What are some other trends that you see in sales today? Mick: I think I see just a general trend towards inside. You mentioned smaller companies and if you dial back the clock 10-15 years ago, generally speaking you would see people start with a field sales force first and then eventually they might get around to building something inside. I think that play has been turned on its head now. Certainly most of the smaller venture backed kind of corporations, they start inside and then go out. Not a lot of people know this, but if you happened to have read Marc Benioff book from Sales Force, the first six years of Sales Force.com was only an inside selling force. One of the biggest trends we see is really trying to push that inside, that ‘professional style remotely’ model as far as it can possibly go. We have a number of customers that we ourselves have actually closed some seven figure deals without having to have a face to face interaction with the customer on. Things are going well beyond just transactional, very small engagements that can be done professionally in this kind of manner. And this is all a part of a broader spectrum of things I see happening with consumers in general. Google a few years ago coined a term called ZMOT for zero moment of truth, and really that was about how educated customers were becoming before they ever even laid eyes on your product and certainly way before they ever conversed with a sales person. I think about my own car buying experience recently. I had done so much research that by the time I showed up at the dealership it was really just to make the purchase. It was nothing more than that. I think business to business selling is moving in that direction as well. There’s such a hyper-educated buyer these days, that it’s incumbent upon marketing and inside sales functions to take people much further down the funnel. It doesn’t eliminate all together, by any stretch, the need for business to business closers that are out in the field, but it lessens that requirement for sure. Eric: Right. Okay. That’s great. Cool. Moving into the—I’m looking—I’m thinking about sales tools besides InsideSales, and their SalesForce, what else do you think are some must use sales tools? Mick: Yeah. You mention SalesForce sales. I think there are a variety of them. We are a fast growing high tech company in our own right and I’ll give a few different shout outs. For those events that we mentioned earlier, I’m a big fan of using Global Event app from our friends at Double Dutch. It adds a social and collaborative edge live in real time to managing events. So, it’s not just the event agenda on your iPhone, it goes a lot further than that and really increases the level of engagement of the people at the events. Bit shout out to those guys. We like the work that we’re seeing done from the folks at DocuSign for contract management and helping sales people move documents back and forth and tracking them through the process. Also pricing and quoting tools from companies like AppThis are terrific tools; sales compensation and training modules from companies like Savvo or CallidusCloud, are great. Really in our view there’s this whole ecosystem of apps that are forming around what we call the sales acceleration space between traditional marketing automation and sales automation like CRMs. Eric: Got it. Okay. Let’s define what sales acceleration means. I think that would be helpful to the audience too. Mick: Sure. Yeah. To go back to the statement I just made, if you sort of look at a traditional sales funnel and you look at the top of it, the big front top end of the funnel is where the marketing automation vendors play; the Marketos and Eloquas, and the exact targets of the world. If you look at the bottom end of the funnel, kind of catching all of that information and storing it for recording purposes and so forth, you have the CRM vendors; SalesForce, Microsoft, SAP, Oracle, etc. In the middle there really hasn’t been all that much. Suddenly in the past three or four years, literally dozens and dozens of companies have emerged to take something that is at very top of the funnel, maybe a web lead or something like that, and accelerate its path down to the bottom of the funnel and moving it into closure. That’s this big space that we call sales acceleration. I’m sure analysts and other pundits will come up with their own terminology for it, but that’s how we refer to it. In our mind it’s kind of a race to sort of coalesce all of those different capabilities that exist there and really form a new market that’s going to exist between those two. Eric: I think sales acceleration is the perfect way to put it. We just signed on for Sales Force so you’ll see us sign on too. You’re probably one of the most—you’ve had so much experience, you’ve been with all these big enterprise companies. Have you spotted any specific trends? I mean, you’ve worked at Microsoft, you’ve worked at Citrix. Is there—in terms of struggles, has there been one similar struggle you faced every single time when helping these companies? Mick: Yeah. I don’t know if there’s been one that I’ve faced universally, but I would say I think that the transition to social, have been difficult for large enterprises because it’s a—suddenly you went from having a very tightly controlled message for marketing communications in particular, to having the whole world able to say whatever they want, whenever they want, however they want, and if leveraged to the fullest, that can be a wonderful thing and really be an accelerant for companies marketing and sales motion. But, conversely, it can take things down the tubes just as fast. I think companies that have very sophisticated and have a traditional PR functions in particular, really struggle with that movement because suddenly a lot of the control was leaving their hands and moving into the hands of customers, partners, employees, ex-employees, etc. All of those things can either be wonderful for your future sales and marketing efforts, or they can be terrible for them. Figuring out how to harness the power of social has been a challenging thing for large enterprises to figure out. Conversely it’s become kind of easy to smaller companies that sort of grew up social. I think that’s been a benefit for companies like ours. We were recently recognized as being one of the best, one of the very best in terms of leveraging social, but it’s easier to do when you don’t have years and years of established processes of doing things in a very different way. Eric: Okay. Yes. Pretty much inside salesmen, even though you guys are so big right now, you guys still kind of function like a technology startup in terms of how quickly you guys move, right? Mick: Yes. Absolutely. Sometimes to our detriment, but yeah, absolutely. We’re going very, very, fast and when you’re growing as fast as we are, I’ve been at the company 15 months now and we’ve added 300 employees during that time and, like I said, we started at 160 or so when I was first hired. When you’re going that fast your business processes, your systems, they can’t keep up with the rate of change. Yes, it’s kind of organized chaos most days and in InsideSales.com, but it also makes it a ton of fun because it certainly changes day by day and moment by moment. Eric: Great. Going back, a lot of startups marketers watch this show, and maybe someone wants to go down your trajectory or wants to work at Enterprise executive level. What’s one thing these—what’s one thing someone like that needs to do to get to where you are? Mick: Great question. I mean, I think, to me it’s the diversity of experiences. I went through it kind of quickly, but if you listen closely I spent an awful long time in sales. I spent a number of years in product, and then I ultimately landed in key marketing roles. That was very intentional on my part. I think having worked in sales I have a degree of empathy for that function that a lot of marketers maybe don’t, because if you don’t possess, and having lead product and product management organizations I know what they’re up against, and also as a marketer I can tell a little bit more about how far along the product really is verses how far along the product guys might want to tell me that it is, at times. So, I can be very honest and transparent with our prospects and customers. I think getting a variety of experiences along the way, being open to taking roles that are maybe outside of your core discipline area, or outside of the G.O. that you live in, any of those kinds of experiences will ultimately make you just a much, much better executive, whether it’s in marketing or any other discipline. Eric: Okay. Transitioning from a sales role to a product marketing role is fundamentally different. How do you start doing that? Mick: I think a couple of things. Masked underneath the—in sales I did a lot of systems engineering work when I was first coming out of school, when I was young. So, I got pretty technically proficient and tried to continue to hone those skills throughout my career. As I got opportunities along the way as a product person to engage with the marketing team, to engage directly in sales efforts with customers, I continue to do those things and push them forward. Don’t let the fact that you sit in a DEB [ph 00:27:57] organization mean you never talk to a customer. Don’t let the fact that you sit in a corporate marketing HQ job mean that you don’t go on a sales call. And so, the more you can try to benefit those other organizations, those other functional organizations, the more you’ll be in the consideration set for something when it becomes your time. Eric: Okay. Once one piece of advice you’d give your 25 year old self? Mick: Wow. Geez. That’s a deep one there. That’s a tough one. I think probably the biggest one would just be “openness”. That means, with regard to what your job role is, it really applies most of all, and I apply this a little later in my own career, to your geographical location. I think—I see and awful lot of people shut down amazing opportunities when they’re young and maybe unattached, and before they have children and things like that simply because they’ve got to move somewhere. To me being open around that is just makes the possibilities limitless. If you’re young and you have that opportunity, that’s the time to travel, that’s the time to move someplace different, it’s the time to embrace change before it genuinely does get a little bit harder a little later in life. I’d definitely pass that guidance on to anybody. Eric: All Right. Love it. What’s one productivity hack you can share with the audience? Mick: Whew. Man. I’m a little spoiled on some of these things, both because I’m a bit of a geek myself and because I’m blessed to have an executive admin now who’s probably the best productivity hack of all, because she makes me look smarter and on time in my calendar each and every day. But I think probably the biggest one that I would way that I use in my day to day life is—I’m a very active guy with social and so I leverage social and instant messaging as opposed to more formal means of communication a lot more frequently than most of my contemporaries my age who’ve been doing this awhile, and it allows me to do very short bursts of communication, whether that’s one to one, or to the masses, without having to go through the formality of email or even a telephone call or anything else. I’m a big fan of leveraging those tools to keep things crisp and keep them moving. Eric: Okay. Great. I echo your sentiments on the executive assistant. It does wonders if you have it implemented correctly. Final question. What’s one book you’d recommend to the audience? Mick: Wow. I’m going to cheat and maybe give you a couple of authors here. I’m a huge fan of all things Malcolm Gladwell. I’m a big fan of Blink, and many of his other books. I think he’s a terrific author on a number of different levels. I’m also a big fan of leadership type of books and really try to adhere to a particular discipline around leadership, so I’m a big fan called An American Journey, written by Colin Powell a number of years ago. Part of those event jobs I mentioned earlier allowed me to have the opportunity to engage with people like him and get to know him on a personal level as well. I love to give him and his book a great shout-out out there. Eric: Perfect. These will all be noted in the actual blog post so the audience knows. But great. Mick Hollison from InsideSales. I think everyone needs to check it out if you have a sales organization or if you’re planning to build one out, definitely check their YouTube channel, but Mick, thanks so much for joining us. Mick: Thank you Eric. My pleasure. Eric: All right. Take care.